The University of Groningen presented South African spiritual leader Desmond Tutu with an honorary doctorate on 24 September 2012. The Archbishop received the honorary doctorate on the recommendation of the Faculty of Theology and Religious Studies owing to his exceptional performance as Chairman of the Truth and Reconciliation Commission and for his substantial services to society in the field of health. 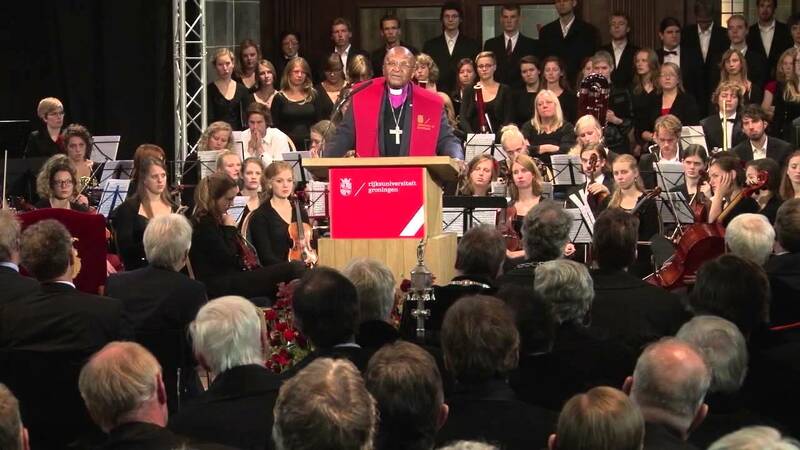 This video contains the speech given by Archbishop Desmond Tutu when accepting an honorary doctorate from the University of Groningen. Last modified: 03 November 2017 3.49 p.m.